Ford Fusion: I really like this photo. That design just gets better with time. think Ford could perhaps more plausibly called it a Fusion? Maybe not. 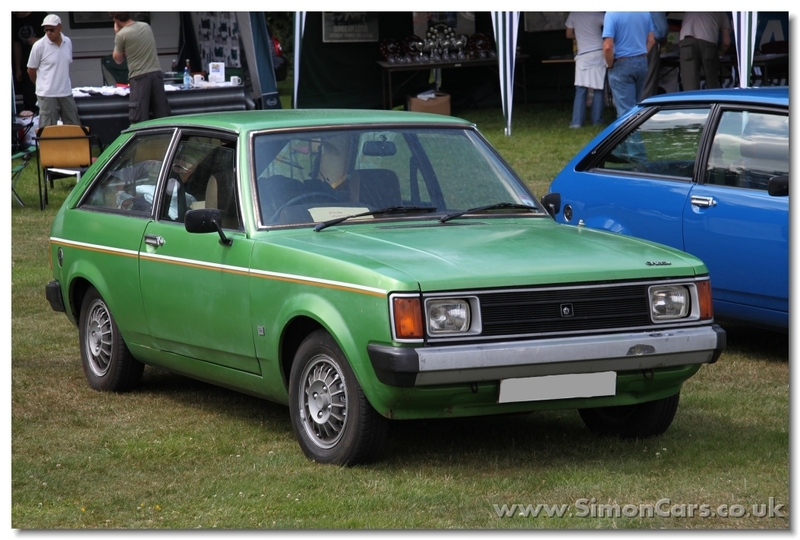 While some admired that car for its rigorously-executed exterior styling many more missed the point. That’s their loss and ours because an intelligent car was over-looked and a good name consigned to the bin. So, Puma it is. This led me to try to think of other examples of iffy nameplate re-allocation. I suppose it’s not a black-and-white matter. GM and Ford did a lot of it in the 1950s as a sub-model became a model in its own right. That’d be at the acceptable end of the scale. If people liked the 1962 Cadillac Seville Nacho Supreme then why not make the Nacho Supreme a Cadillac model in its own right? That seems fair enough. Olds went Cutlass mad in the 1970s, such was the appeal of that model designator. No harm done. We need a more egregious example or two before I can consider this a class of more than one entity. 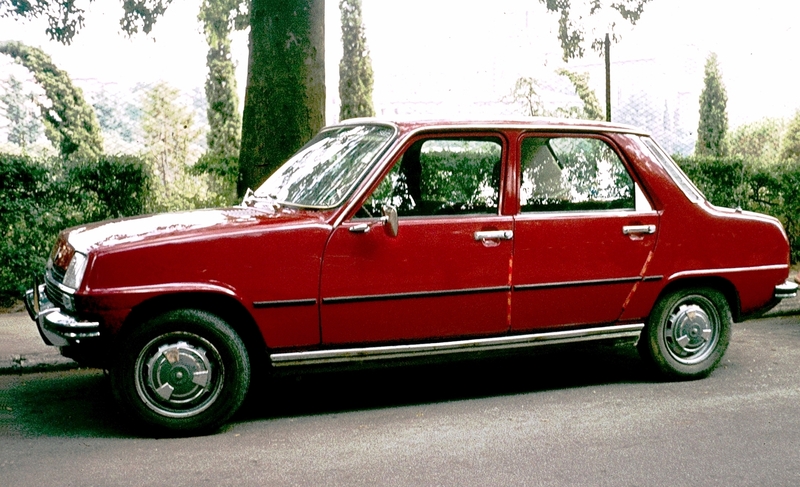 1986 Fiat Croma 2.0 i.e., a car from the days when Fiat could sell a moderately large family car. Fiat Croma? First it was a regular five-door medium-sized saloon then came back from the dead as a upper-medium long-wheelbase semi-estate, semi-MPV thing. That’s getting a bit worse. The Opel Tigra? Opel based the first version on the Corsa and it could be understood, like the Mk1 Puma, as a sportier version of the family hatch. The second version seemed like a very different kind of car. I have to say the second version was not alien in concept to the first one, but was different, much like a lamb saag and and lamb bhuna differ. … and Mercury Capri might be getting hotter. The last Capri has front-wheel drive, a 1.6 four pot and was rather smaller. Such is the power of that car’s image that 6-series, at least for me, defines a class of medium-sized luxury coupés. The two-doorness is identical with the cars’s Six-ness. It is a beautiful re-interpretation of the themes used in the 728 and probably one of the most elegantly purposesful GTs ever made. The more recent version can’t make the same claims. It’s not bad. That’s very clearly a four-door car, looking for all the world how the 5-series could plausibly look if a 5-series did not already exist in an another form. 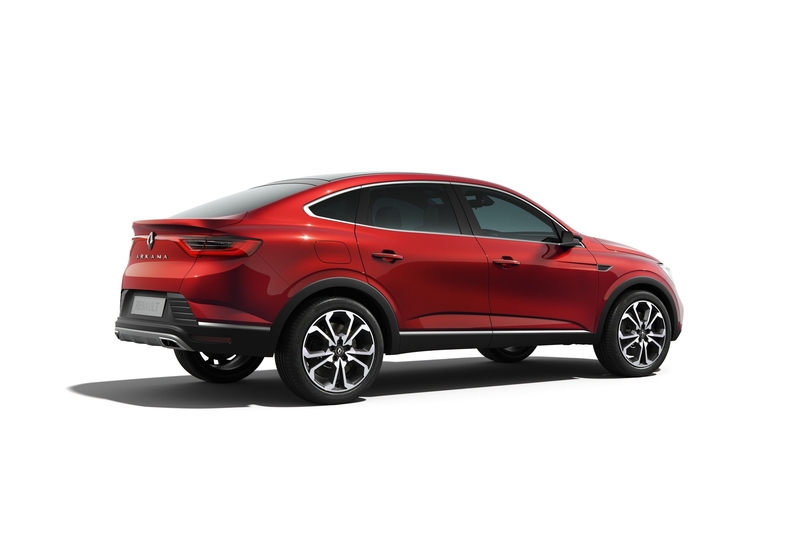 What it is not is a two-door coupe with a sophisticated and rakish character. At this point I’ve run out of examples, indicating the class of inappropiate name-plate re-allocations is small and that might be indicative, n’est ce pas? Tigra slide show source: Mk1 Tigra; Mk2 Tigra. Chrysler Pacifica. First an SUV, then a minivan. The Maserati Ghibli. Now it’s a saloon in the 5-series class, in 1967 it was a big 2-seater coupè (and then a spider). In 1992, the Ghibli was a compact 5-seater coupè in the style of a Delta Integrale Evoluzione. What next? An EV SUV? Right now I can think of the Chevrolet Monza who just came back in China in sedan form. Also, I don’t think it counts but VW created and introduced last month the low-cost, China-only, ‘JETTA’ brand that will sell Jetta saloons and…..European SEAT cars. I was actually wondering if they will keep the name Jetta on the sedan and call it the JETTA Jetta but no, they gave it a decent if unimaginative alpha-numeric name. For those who missed it, this is the new logo for Jetta, the brand. I have to say I think it’s clever of VW: using the popularity of that saloon to create a brand from scratch, in a market where they already have a huge success. DS Automobiles struggles epically in China and only sells thousands of cars monthly nowadays and I can hear VW telling them ” This is how you create a brand from a single model, B*tch”. Yes, that one occurred to me this morning: how different is it really? Answer, quite a bit even if it can do 87% of what the old Espaces did. It “feels” different due to its spangliness and sleekness. I rather like it. The latest 6 series – a sort of bloated high rise 5m long fastback – really is a very different animal. I might nominate the Honda Civic, although that has mutated over many generations so does not represent the about turn mentioned above. Nonetheless, it was once a two box, three door supermini and is now a midsize family car, always with rear doors too. Perhaps we can add the Opel Zafira that went from MPV under GM ownership to LCV and Peugeot Traveller’s twin (originally from Tallagh) under PSA’s hands, although they did add ‘Life’ after Zafira. Hi NRJ, are you sure about Tallaght? The only Tallaght I’ve heard of is a less than salubrious suburb of Dublin. Yes that’s the Tallaght I meant. This is from an inside joke (inside my mind that is) about the Traveller’s name. Skoda Felicia, from 2dr convertible to supermini. The Rapid too, from 2 to 2 and 1/2 volumes, although the Spaceback versions of both iterations could be considered the same kind of car I guess. Maybe the Skoda Superb too, at least it went from a 2 volume Estate-like car in the 30s to a 3 box sedan much later. I omitted the Octavia and as they might be considered the same kind of cars now and then. I was wondering if it was a mistake that ‘Superb’ was spelled ‘Suberb’ on the Skoda website or if I missed something and that’s how it was called. Toyota Starlet (one odd name if I ever heard one), from 2/4dr sedan and wagon to supermini. Late to the party today, but how about this trio of Alpines? Well look who’s here to rain on my parade. In the meantime I found the Giulietta who started out as an executive saloon to become a C-class hatchback. And let’s not forget the Toyota Isis which started out as a an MPV but which then went on a murderous rampage in the Middle-East as everyone knows. Peugeot 3008 and 5008? Both started life as MPVs but became SUV/Crossovers in their second generations. Ford Kuga? Two generations of SUVs, but now an, er…what, exactly? Tall hatchback? Yeah I suppose we can take the 3008/5008 into account. For the Kuga, this is far-fecthed. Denied. Going back to Pumas (I hear Pooma in my head since first hearing a Fat Boy Slim track …), the name makes sense in the new model line up as it is a smaller relation to the Kuga (I hear Cougar in my head …), no? A good list of Alpines earlier on up I thought! Of course, the Poooma is itself just the replacement for the Ecosport drivel. I know, I’m a bit off the pace at present. Seat Toledo: the Mk1 was a five-door hatchback, the Mk2 a four-door saloon, the Mk3 an MPV and, finally, the Mk4 was a five-door hatchback again! Yeah that’s good but I don’t think Richard asked for a record number of different iterations . Otherwise, both the Twingo and the Colt went between hatch and MPV styles. Did anyone notice how the Alpha-male prise open the lift’s doors with his own hands at the end ? They don’t make them like that anymore. The Men and the flimsy lift’s doors. Did you know that Fusion was the original name of the Ford Focus? It got changed late in the day. I´d forgotten that, John. And Renault love re-using concept car names on wildly different production cars. Well done everyone for expanding the categories of misused, re-used car names. I should have known the Toledo as I wrote two articles about the ´Ledo. And I always forget the Rootes group and its survivors. The Alpine is a fun example. Poor old Rootes Group. Gone and forgotten, just like the Manchester-based National Motor Corporation, later on known as British Upland (maker of garden tractors and hearses), final home to Country Ranger, Victory, Prestin, Cholmondeley, D.G. (Dancer Garages), Dancer Motors, and Leopard Luxury Cars Ltd. It was subsumed into Reliant in the middle of the late 60s and more or less forgotten by the late 70s. You see the odd one at car shows, usually propping up an elderly stout man and his elderly stout wife who insist they are the best-made English cars ever made. 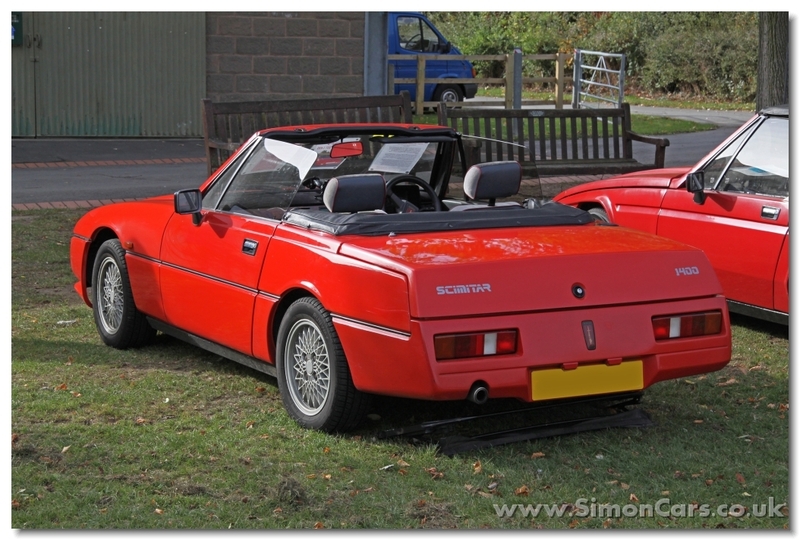 Originally a GT coupé, then a four-seat shooting brake and convertible, and finally a two-seat roadster. Daniel: you are vastly better informed than some of the Denmark-based authors of this website. Is there a reason why the Scimitar is not disturbing me? They are all sporty cars, smallish and fast. 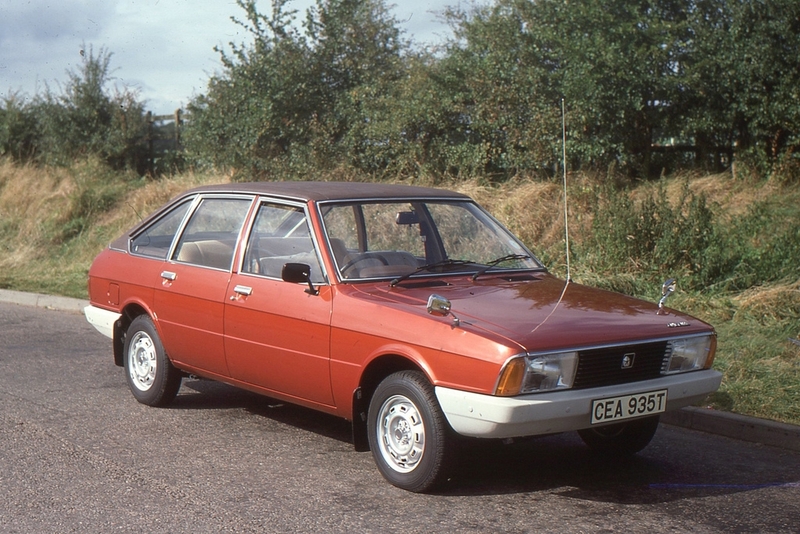 The Peugeot and Sunbeam seem closer to my idea of big changes in character. 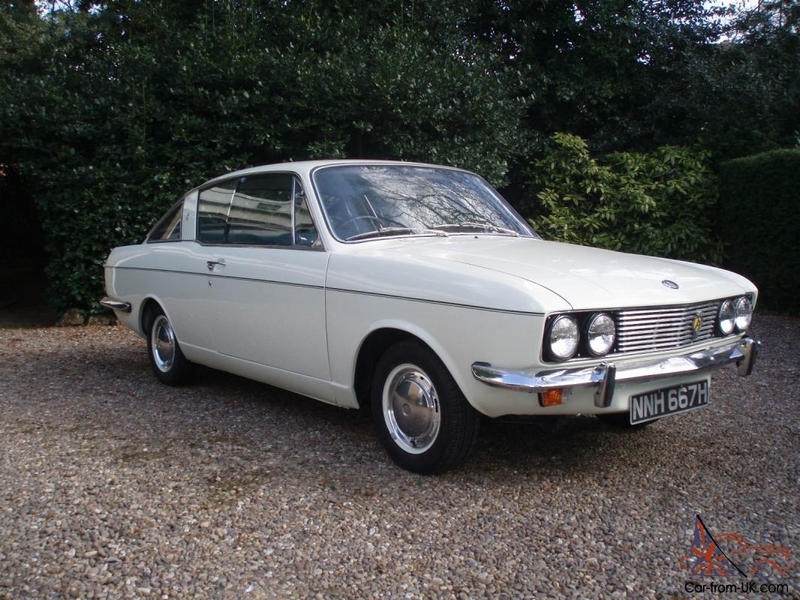 The Toledo is a funny one because it seems that unlike the others, the original was a very bland car so it seems not so bad that the name gets stuck to a variety of things thereafter. The Toledo is case of its own: a name applied to whatever was at hand and none of them were especially distinctive. I´d love to set up a Toledo owners club and watch owners struggle to identify that which makes “the Toledo” so special. All in all, the DTW readership trounced the author today. Why does he always get praises and we dont ?? Is it the Irish connection ? Because if that’s the case I can always recall having a sketchy snake charmer as a great great grandfather you know…..
NRJ: noted. I like to play the various commentators off one another so as to create a brittle, anxious atmosphere of unrest and uncertainty. It´s part of my cruel streak. Ok. But I do wonder when will be my turn to get the praises to make the other ones jealous ? Daniel – Iam sure you find me lovely: Everything must look rosy and nice when you’re being hailed as the de-facto child-prodigy of the site. And stop flaunting the fact you can post direct images when you know full well I can’t do that. Hi NRJ. Joking aside, posting images is really easy. What are you using to view and contribute to DTW? I use an Android tablet (Samsung). If similar, you just need to download and install a picture hosting app such as Imgur, which takes a couple of minutes. Then you simply find the image you want “share” by uploading to Imgur, then copy the URL of the uploaded image and paste it into your post. Simples! There’s an Imgur app for Apple and a web version for PC, so there should be one for you to use. Hi Daniel – Thank you for the instructions. You did mention Imgur before but I didn’t know you had to use the app as opposed to upload directly on the site. I might just carry on with the links only. I think it may even become a personal quirk of mine to help me stand out from you. Thanks again. Richard, if you do establish a Toledo Owners Club, I promise to turn up in an old Triumph, just to confuse matters further. Jensen Interceptor. Cabriolet in the 1950s. Very different coupe in the 1960s. 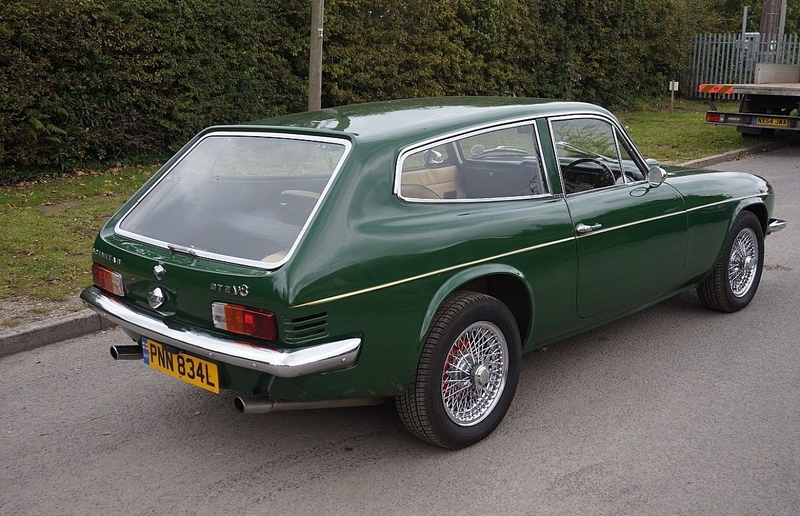 In a similar vein, Lagonda in the 1950s to Aston Martin Lagonda in the 1970s to the new Aston Martin Lagonda in the 2000s. Hello Jeremy and welcome to DTW if you are new here (I am losing track of DTW´s growing clique of commentators). These are interesting cases in the grey area between model-name extension and model-name over-reach. Having read all these examples I see the phenomenon is more widespread than I thought, with some iffy examples and some blatant examples. It seems a good name is hard to come up with and many brands are tempted to redeploy them to lever what goodwill exists from model to model. I think the Mini is a fair old stretch from a two door car weighing about 1/2 a ton and 10 ft long in 1959 to the ‘MINI’ Clubman, Clubvan, Convertible, Countryman, Coupe, Hatch, Paceman and Roadster on Autotrader this morning. Hmmm. Yes and maybe no to the extent the cars are anchored in a family look. What´s happening here is a car becoming a brand over-arching a range of models. However, what you get at is that the stretch is a bit unconvincing. Also here I see a parallel with DS – from model name to range and even brand. The difference is: with Mini you can argue if it’s convincing or not, with DS there is no doubt. Simon: we return to the baffling use of the name and *no other aspect* of the DS concept. Zero. They might very well and better have chosen almost any other non-rude combination of two letters. 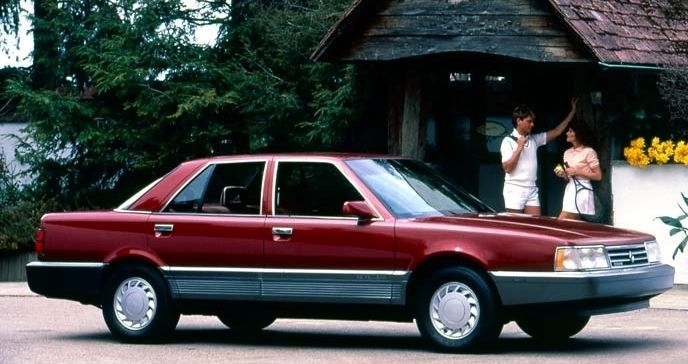 They would have been better off because a whole galaxy of pixels would not have been wasted bemoaning the odd decision to name a bunch of conventional cars after one of the world´s most succesful unconventional cars. gooddog – In that case, if an added name is allowed in the rules then there are hundreds of examples: Megane – Megane Scenic, Golf-Golf Plus, DS3 -DS3 Crossback, and many more. Denied then (in the interest of fairness I will readily deny my own Zafira Life entry). I’ll accept that because I feel so very sorry for pathetic Mitsubishi, even a straw might break their back now that their sole protector has been hauled off to jail, and I won’t have that on my conscience. Since we are talking about names, Renault has just announced the name for its next India-only MPV, it will be called the TRIBER. Tata’s new SUV is called Harrier in India and Buzzard Sport in export markets, which is quite cool, don’t you think? Well, Harrier is, not so sure about Buzzard Sport though. Apparently, Toyota own the rights to Harrier outside India. I never liked the Harrier name but it could be because Iam non-native English speaker. I think it reminds me of the name Harriet and I picture an old woman, not good for a car. There’s the Vellfire too ! “The name ‘Hector’ draws inspiration from the noble qualities of the Trojan warrior hero – Prince Hector of Troy. It pays homage to great British engineering tradition, as a nod to the Royal Hector biplane, used by the Royal Air Force in the 1930s. ‘Hector’ stands for everything Strong, Bold, Trustworthy and Dependable”. Just realised my message doesn’t make sense because my previous post didn’t go through, it was a post about MG’s new SUV called Hector. I love these zombie mutants that survive long beyond their natural lifecycle, courtesy of endless facelifts. That 206/C2 mongrel isn’t the full Jocelyn Wildenstein yet, but it’s heading that way. They don’t sell that C2 anymore in China. They had the ZX Fukang too, a ZX sedan we never had. 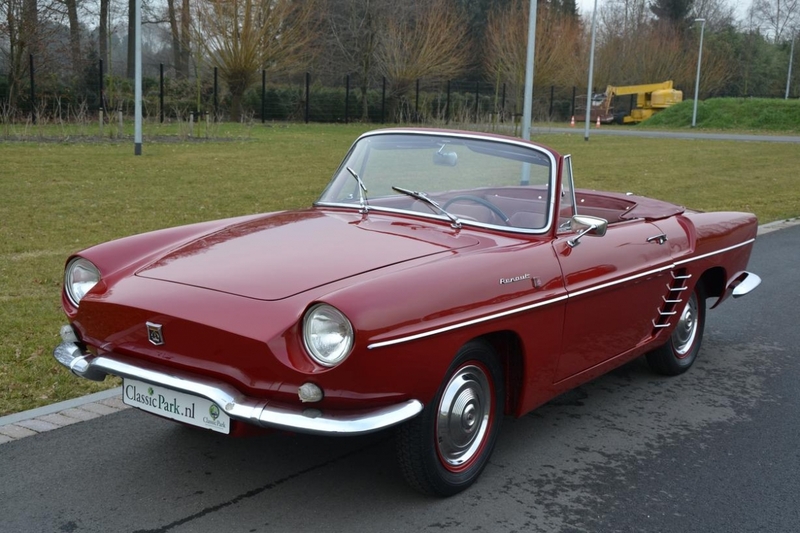 a little quiz: can you name a Renault that had its own nameplate, one never used elsewhere before or since, and that was sold in only 1 country (not France) ? These were not the ones I was thining of ! It was a good guess, I’am not going to praise you because you’ve had enough praises for 2 lifetimes from the Denmark-based author. Shall I reveal the answers ? This the one I couldn’t quite recall earlier, before I went off on the AMC tangent. That’s good but not what I was thinking. The Arkana will be sold in Russia but also in South-Korea as the Samsung XM3 Inspire. The ones I’am thinking of are not comtemporary Renaults and each was sold in a different country. One had a numeric name, the other a proper name. It’s not something Korean you’re thinking of, is it? Those vehicles were all branded Samsung, I believe. No it’s not the Arkana which I think will be sold later outside Russia and sold soon as the Samsung XM3 Inspire for the S. Korean market. They’re not Koreans, each sold in a different country, one had a numeric name and the other a proper name. Yes ! That’s the second one I thought of, the first one is a bit more difficult. It had a proper name, not a number, if that helps. Off to bed, so I’ll sleep on it. Goodnight! Jolly good work NRJ. A real puzzle – only one person knows the answer. It’s my turn to get the praises isn’t it ??!! Sorry Gooddog, it isn’t the answer. I think the Lecar was also sold in France, at least as a special edition. I think so too. Impressive knowledge NRJ. 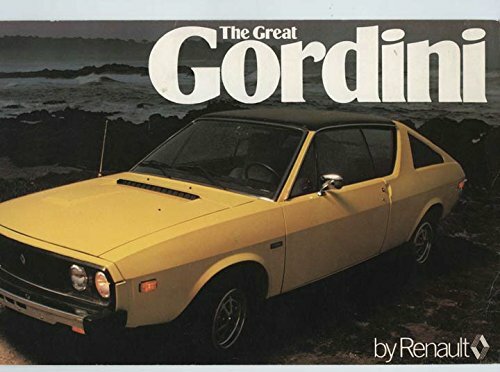 The 17 Gordini was sold in the US as just “Gordini”, sans numero. But I suppose that isn’t the answer either. I don’t think it’s the right answer because I believe the Caravelle name was later used for the car in Europe. This is my last guess so, time for the big reveal? It wasn’t the Gordini but at least I learned that’s what the 17 was called from you. Thank you for the praise too, it didn’t go unnoticed. Not the Caravelle, which was also sold elsewhere as you mentioned, but under a different name. The answer was the Renault Torino. A car that is a contradiction: not known at all outside of Argentina yet it was considered the ‘National car” inside the country. It had a complicated history. Thank you all for your guesses ! Well done, NRJ, I’d never have got that as I wasn’t aware of the Torino’s existence. Top teasing! I’m about to post another teaser on to today’s post about the 260C. Good luck! Subaru Legacy in most of the world. But Subaru Liberty in Australia. Why? There’s something about billabongs apparently. I’m surprised that no one has yet mentioned the Mercury Cougar. From an upmarket version of the Mustang, available in two-door coupe or convertible form, to two- and four-door sedans, an estate (the Cougar Villager), and lastly to the Mondeo-based hatchback coupe, this nameplate suffered more changes of door count and fundamental attitude than any other I can think of! I’m not sure what I’ve been doing for the last five or six years as I’ve only just stumbled across DTW, but from what I’ve seen so far, this looks like the perfect automotive site for me, as you can never have enough well considered editorial about Saabs, Lancias, Citroens, Alfa Romeos and other ‘proper’ cars (though Panhards seem in short supply from what I’ve seen so far). Thanks for that. I think you will find that the hours spent *before* discovering DTW were the wasted ones. DTW itself is the gateway to a higher level of insight. Thanks for the list. 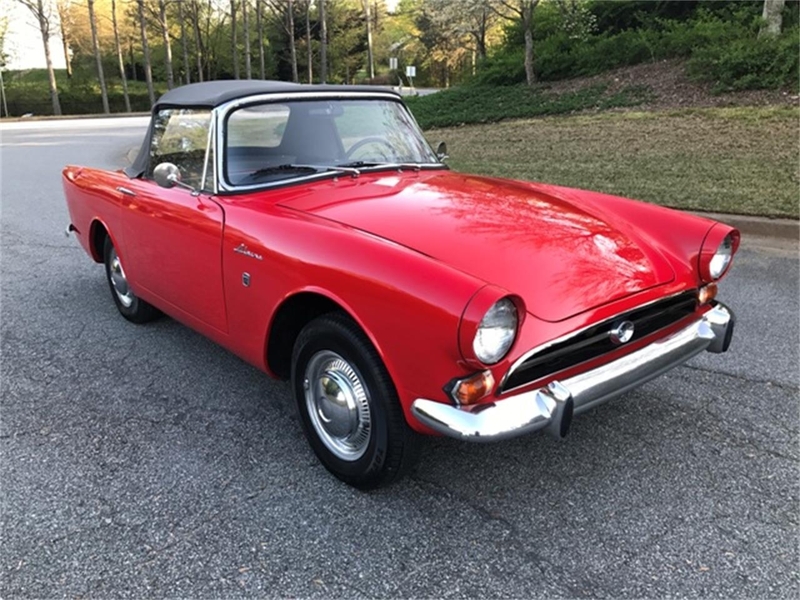 The ones I am most interested in are the ones where a name was re-used in the same market by a successor car rather than the re-use of names of “historic” weight. The Seat Leon and Toledo are a prime example. The Fiat Croma, by my own standards, is stretching it. I don´t suppose many of the later customers were bothered by the name or even knew it had been used previously. Well well well Djetset. If that isn’t throwing the gauntlet with all these entries. Thankfully most of them are wrong for what we were looking for. 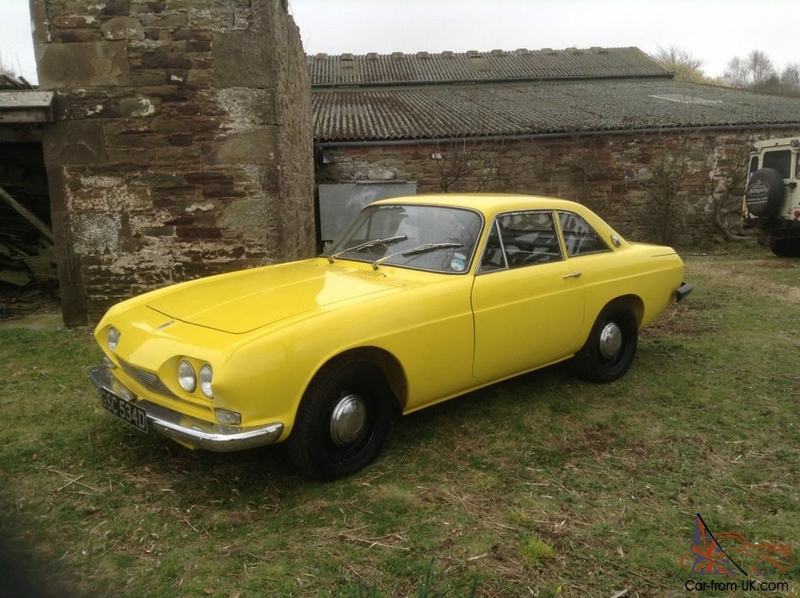 Thank you for your kind welcome, and well spotted, as I am something of a Matra aficionado, having owned a 1965 Djet 5 for many years, controversially finding it a superior machine to my previous Alpine A110 Berlinette which I sold to replace with the Djet (plus a Murena 2.2 briefly too, having something of a soft-spot for affordable mid-engined sports cars, having owned many over the years, the Djet being the ‘keeper’, with a VW-Porsche 914 being by far the worst and best forgotten). Thanks for the Panhard content links as well, which I look forward to reading. As I mentioned, I’m rather new to DTW, so haven’t had much chance to go exploring the site as yet. I suspect that I much to look forwards to. Oh, and I forgot to mention earlier another sector-changing model with the same nomenclature that is possibly worthy of note, the MG ZS, from a young wanna-be thugs’ hot hatch, to a somewhat anonymous Chinese SUV now. True but since the Chinese don´t remember the original car, the re-use of the name does not jar so much. My ideal example is a car which in one market changes genre from one generation to the next. I would prefer cases of those. In the ZS cases one wonders why the company could not come up with a better name that avoided any potential confusion.